"Mr Kemal is hand-in-hand with terrorists! ", the president thunders at one. At another, he turns to the Christchurch attacker. "You will pay for this. If New Zealand doesn't make you, we will," he says, before urging New Zealand to reinstate the death penalty. "This is not an isolated event, it's something more organised," he roars, later accusing the West of "preparing" the killer's manifesto and "handing it to him". 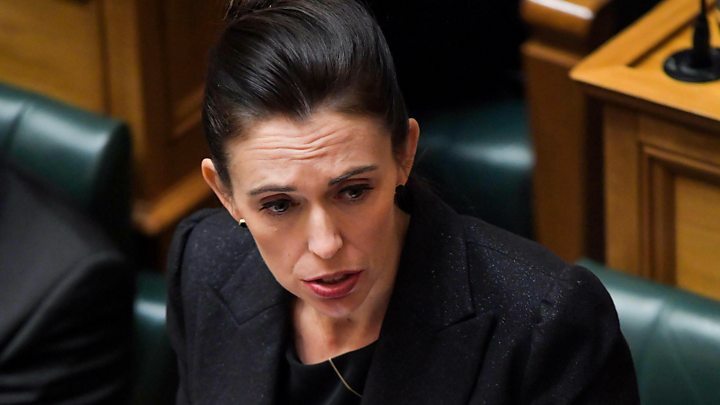 For many, the leader of a Nato member appearing to exploit New Zealand's grief, repeatedly playing footage that's been condemned around the world and removed from 1.5 million Facebook sites is at once baffling and galling. New Zealand Foreign Minister Winston Peters called it "unfair" and warned it could damage his country's nationals abroad. And yet Mr Erdogan has continued - and gone further. "Your grandparents came here and returned in coffins", he bellowed. "Have no doubt: we will send you back like your grandfathers." That prompted Australia's prime minister to summon the Turkish ambassador and review travel advice to Australians travelling here. Remarks have been made by the Turkish President Erdogan that I consider highly offensive to Australians and highly reckless in this very sensitive environment"
So what is Turkey's president playing at? 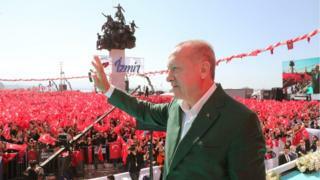 The attack, whose alleged perpetrator targeted Turks in part of his manifesto, has been a perfect opportunity for a proudly Islamic president, who has long railed at the West for its treatment of Muslims, denouncing among other issues the term "Islamist terrorism". In previous rallies, he has called out media outlets including the BBC, turning his supporters' sights on foreign reporting about Turkey. It feeds the conspiracy theories of a nation taught from school of how the West tried to dismember Turkey, a well-known motto being "the only friend of a Turk is a Turk". New Zealand's foreign minister is coming to Istanbul this week on Turkey's request, and has promised to "set the record straight." But as other governments have found time and again, dealing with Turkey's combative leader is no simple game - and he's mastered the art of winning his own.